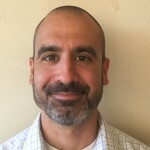 Tom Russo leads product management and marketing for Spirent’s analytics/CEM business unit. He has 20 years of experience in telecommunications product management spanning companies such as Alcatel-Lucent, JDSU/Viavi, Corning, and Spirent. This presentation identifies the Enterprise IoT applications especially well suited to telecom operators, the role of analytics in helping them deliver these services, and Spirent’s InTouch solution for IoT application enablement.